Channel your inner goddess with this cape sleeve dress. 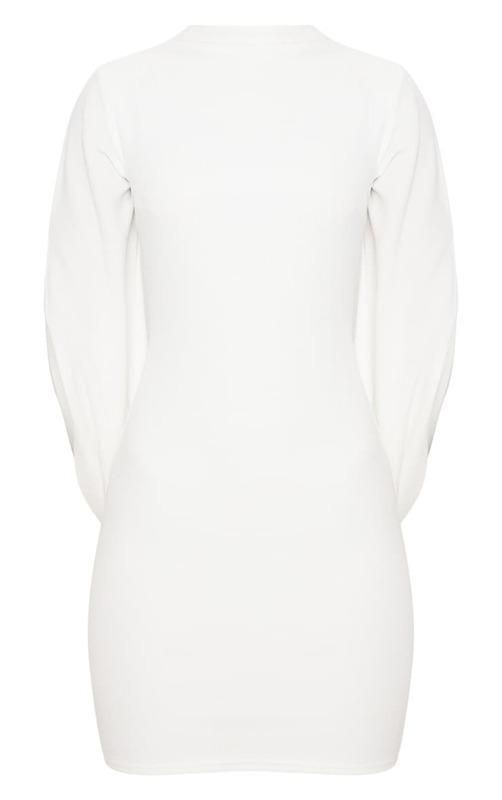 Featuring a white figure-hugging fabric, a high neckline with a button fastening and a draped cape sleeve. Keep the look simple and just add a pair of strappy heels and statement earrings.